Children of all ages need books to read which help them in development of their personality. During our childhood, we all had our one favorite book which may have been a cartoon series, mythology or even science. I am here asking for help to get these books available to those who can not afford it. The people from underprivileged communities are deprived of the joy of reading. So let's come together to ensure they can read..
Hey all, Ganesh Chaturthi is nearing and we are all ready to celebrate the arrival of our beloved god of wisdom. As every year, the festival brings joy and happiness to our families and brings them all together. As we prepare for the festival ahead, United Way Mumbai (UWM) is preparing to make this festival Eco- friendly to ensure no environmental damage is caused. 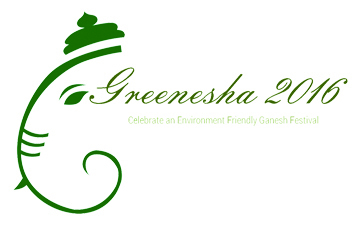 UWM's Greenesha campaign aims to create awareness on environmentally friendly methods of celebrating Ganesha festival. Through Greenesha, we aim to: 1. Build a citizen movement for an environmentally friendly celebration of the Ganesh festival 2. Create a path breaking opportunity for students across Mumbai to be catalysts for change 3. Visibly reduce waste disposal in the city�s water bodies during and after Ganesh immersion 4. Ensure the waste collected is appropriately treated and converted to organic manure I request you to contribute to this cause and help us make this Ganesha Festival environmentally friendly. UWM will organise a Nirmalya collection drive at major city beaches, wherein college youth will request Ganesh Mandals to dispose Nirmalya as per MCGM requirements instead of immersing it in the city's water bodies. College youth will also segregate and collect the Nirmalya to be put in the designated waste containers allocated by the municipal authorities. This waste will then be taken for further treatment to be converted into organic manure. 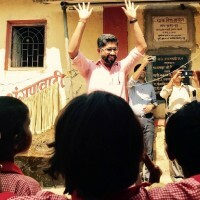 I am Dr. Shailesh Wagle, working at United Way Mumbai as Asst. Manager for community investments. I am fundraising through United Way Mumbai to help the underprivileged through various campaigns. Best wishes for the initiative. I hope and pray that these little children get the courage to fight the illness and be healthy again. Keep up the good work shailesh.